If you’re looking for replacement parts and accessories for your garbage receptacles, our trash can and recycling bin parts and accessories have everything you need. 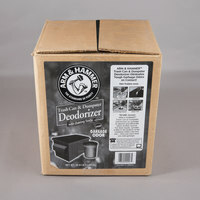 Our liners fit perfectly in your trash can or recycling bin and prevent messes from leaking out. In addition to liners, we offer a variety of signs, fasteners, kits, and keys that you can use to replace missing parts or add features to your garbage disposal bins. Also make sure to check out other great items from Lavex Janitorial, Arm & Hammer, Bobrick, Cambro, Commercial Zone, Continental and Franklin Machine Products. We offer trash can and recycling bin parts and accessories that replace missing or broken parts and lengthen the lifespan of your garbage and recycling bins. Our products come in a variety of sizes and shapes, making it easy to find the right fit for your garbage bins. Additionally, our parts and accessories are made of heavy-duty rubber, plastic, or metal, so you know that they can handle heavy use. For other products that keep your establishment clean, check out our janitor carts, garbage bags, and trash cans. 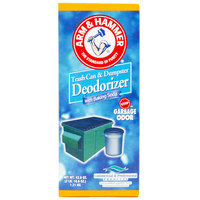 If you're wondering where to buy arm & hammer trash can and recycling bin parts and accessories, we have a large selection of arm & hammer trash can and recycling bin parts and accessories for sale at the lowest prices.